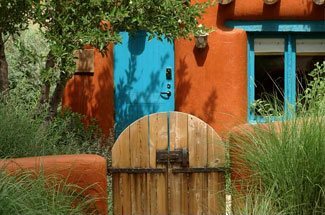 Santa Fe, nicknamed the City Different, is filled with a variety of wonderful places to visit, all with their own distinct character, lending to the overall feeling of diversity in this great city. One of the newest districts in the great city of Santa Fe is the Railyard District. This up-and-coming district is the new gathering place for all of Santa Fe’s citizens and visitors, and is a wonderful place to find excellent dining, shopping, and entertainment. Explore this fun and eclectic neighborhood when you visit us in Santa Fe this winter. Historically, the Railyard District was integral to the growth of Santa Fe, bringing people and goods to the southwest. In the early days of the American Southwest, travel was treacherous along the Santa Fe Trail. The age of the railroads brought tourists and new residents in sleeping and dining cars, ushering in an era of economic and social change that would forever change the face of Santa Fe. 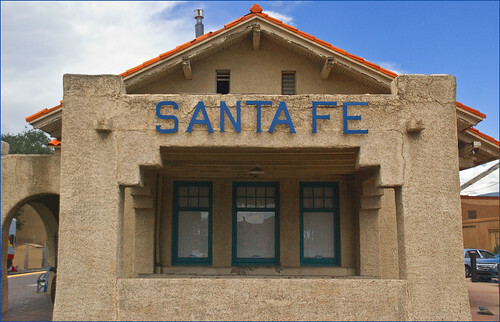 Santa Fe’s Railyard became a center of activity, helping Santa Fe to become known as a legendary trading center. However, the engine of economic change didn’t stop there, ultimately leading to the demise of rail travel after World War Two by the interstate highway system and the airlines. 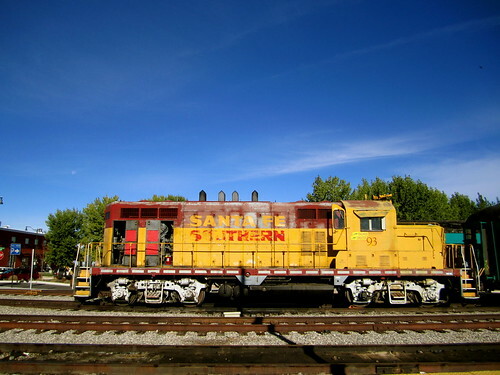 Though this once vibrant district did start its decline, the city of Santa Fe made it a priority to revitalize the Railyard District, and to maintain the original rugged, industrial look of the old rail complex while at the same time providing local businesses with new opportunities. Today, you’ll find that Santa Fe’s Railyard District, housed within a few easily walked blocks along Guadalupe Street between Agua Fria and Paseo de Peralta, is comprised of those once dying low-lying warehouses which have been thoughtfully converted into artists’ studios, antiques shops, bookstores, indie shops, and restaurants. This popular district is also the deeply rooted home of the Santa Fe Farmer’s Market, arts organization SITE Santa Fe, Hispanic cultural center El Museo Cultural, and cutting edge teen art center Warehouse 21. Santa Fe’s comprehensive plan to revitalize this once important center of town has resulted in a beautiful and vibrant community, that is once again central to life in Santa Fe. 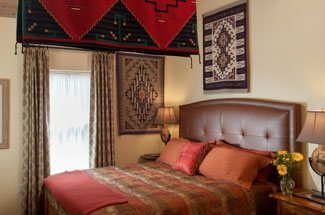 On your next visit to our luxury Santa Fe Bed and Breakfast, don’t forget to spend time in this fascinating piece of revitalized history.